In August, 2014, New Hampshire governor Maggie Hassan declared a state of emergency for the synthetic compound referred to as “smacked.” Due to a reported forty-four overdose cases, it was time to crack down on the potpourris sprayed with synthetic chemicals. Fortunately, there were no reported deaths. 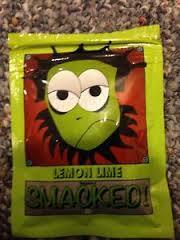 “Smacked” is sold in convenience stores with many, including bubblegum, scents. The substance was declared a serious threat to public health, especially to young people. In 2012, a federal ban was imposed on specific compounds found in synthetic marijuana and bath salts. However, manufacturers of the products simply change the chemical composition to avoid the law. We have written before about the dangers of ingesting chemicals in any form. Since the exact combination of chemicals is unknown, emergency room doctors struggle with treating a patient who has taken a synthetic drug. The street names of these substances are misleading and ingredients, if any, listed on labels may be meaningless and inaccurate. Think before you use any unknown substance.